Spring Scarves Just $3.99! Down From $25! You are here: Home / Great Deals / Spring Scarves Just $3.99! Down From $25! Until February 14 only! At Jane, you can score these Spring Scarves for just $3.99 down from $24.99! Shipping is $2.99 for the first item and $0.99 for each additional item. 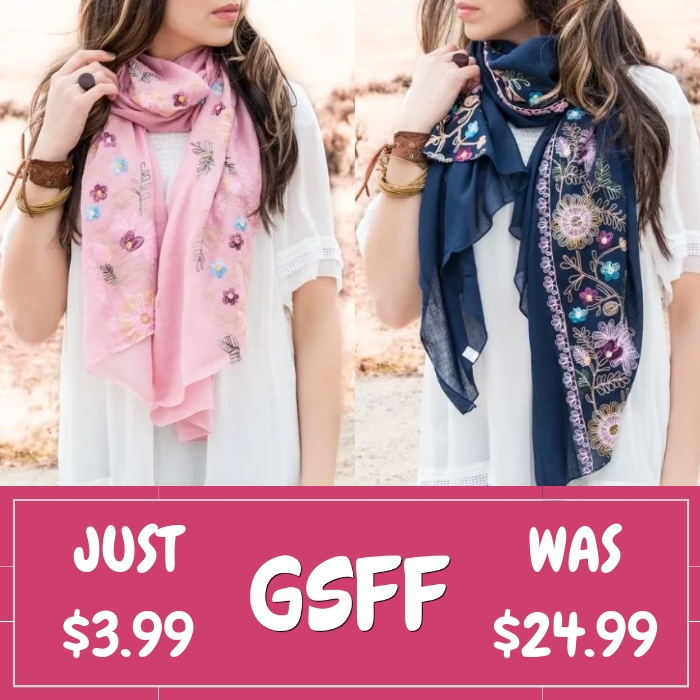 Don’t miss out on these amazing clearance sale on their Spring Scarves! Stock up and save with these unbeatable prices!